Oprah Winfrey says she will leave Earth as a "never-married woman" but admits she recently reconsidered walking down the aisle after attending Tina Turner's wedding. Oprah Winfrey will never get married. The talk-show legend and actress has been with long-term boyfriend Stedman Graham for nearly three decades, but admits they have no plans to walk down the aisle. 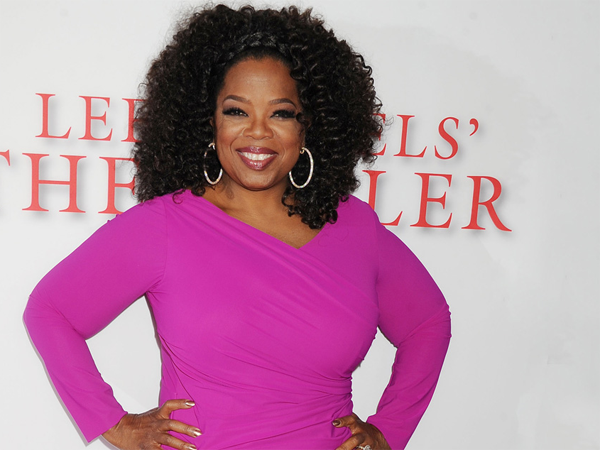 Quizzed if she will "leave Earth as a never-married woman", Oprah said, "Yes. Yeah, I think that's my final answer." However, The Butler star admits she recently pondered marriage after attending her friend Tina Turner's wedding to Erwin Bach in Switzerland in July. She explained, "I think that it's interesting that you would ask it because I thought about it again at Tina Turner's wedding. Tina was, like, 'Oprah, you need to do this. You need to do it.' And I was just thinking, 'Well, OK; would things really be different?' And no, I don't think so." Meanwhile, it appears Stedman (62) is just as content with their relationship as Oprah (59) is. She told Access Hollywood, "If you ever interviewed him, he would tell you that had we married, we would not be together today. He's a traditional man and this is a very untraditional relationship. And I think it's acceptable as a relationship, but if I had the title 'wife', I think there would be other expectations for what a wife is and what a wife does."